What a time to be alive. Pokemon GO usually brings people together but in this case, an elderly man and his grown up son were feeling a bit less comfy with their fellow players. 71 year old Robert Matteuzzi and his 31 year old son were arrested when they teamed up to go after a player that suffered a "traumatic" eye injury and more over a 'stolen gym.' The victim allegedly thought the pair was cheating and threw a Gaterade bottle into their car, which prompted the duo to retaliate violently. "The elder Matteuzzi later found the victim in another area and threw the bottle back at him, hitting him in the face, Waggoner wrote. All three men then got into a fight," said the Dispatch report. "A bystander took video of the encounter and caught Robert Matteuzzi holding the victim down while his son hit the victim’s head and face several times, [Kirkwood Police Officer Matthew] Waggoner wrote. The victim suffered cuts to his face, a ‘traumatic’ eye injury and a broken finger tip." 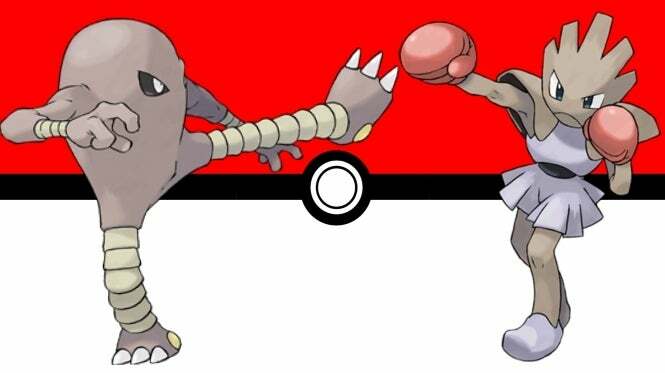 Both father and son are facing third-degree assault charges in what quickly became Pokemon Brawl. For those that may not know, Pokemon GO is an incredibly popular augmented reality game available on both iOS and Android devices. It allows players to track real time where they are geographically to catch Pokemon based on their location. It's fun, and continues to be updated with events and new pocket monsters, but unfortunately - this isn't the first time a friendly "GO" at the game turned violent or unsavory. At the end of the day, players need to pay attention to their surroundings to avoid walking somewhere unsafe, and to realise in relation to other players that it is just a game. Physical assault is in no way necessary, especially in these circumstances. At the end of the day, Pokemon GO is there for fans of the series to have fun themselves and meet other fans as well. Thanks for the heads up, Kotaku!